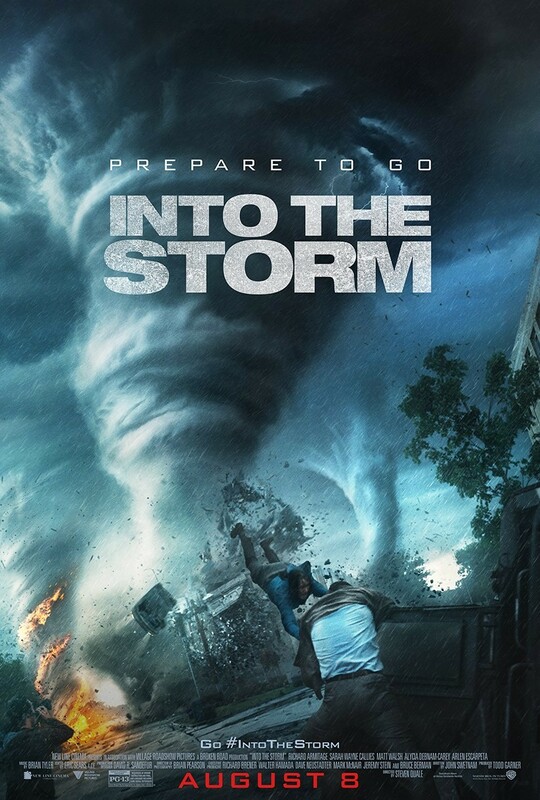 Disaster movie junkies may snap freeze their brains at “Into The Storm” just to see what a $50 million budget and an army of computers can do to show the horrors of a tornado. The small town of Silverton is invaded by a series of deadly tornadoes. That’s cue for a handful of folks to be thrown together as they seek shelter. There’s the legendary storm chaser (Matt Walsh) who will do anything to capture the storm on camera. There’s also the single-mother meteorologist (Sarah Wayne Callies) who relies on data rather than instinct to track the massive front. Then there’s the single, always busy vice-principal (Richard Amitage from “The Hobbit”) and his High School sons (Max Deacon and Nathan Kress). The movie stays rigidly focused on creating the best storm money can buy. As for the digital effects, they look…well… digital, but they’re exciting to watch. And yet it’s at the level of human relationships that the movie fails most profoundly. Unlike fantasy films, the story involves actual people who are trying to survive this storm. A sense of reality is essential, and it’s sorely lacking. Still, the storm does generate a fair share of thrills, and the climax will definitely pin you to your seat. If only the characters and story points weren’t so bathed in cliché .